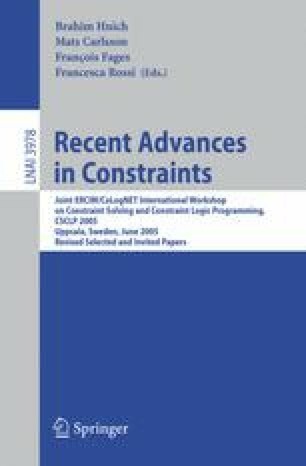 Among, Common and Disjoint are global constraints useful in modelling problems involving resources. We study a number of variations of these constraints over integer and set variables. We show how computational complexity can be used to determine whether achieving the highest level of consistency is tractable. For tractable constraints, we present a polynomial propagation algorithm and compare it to logical decompositions with respect to the amount of constraint propagation. For intractable cases, we show in many cases that a propagation algorithm can be adapted from a propagation algorithm of a similar tractable one.